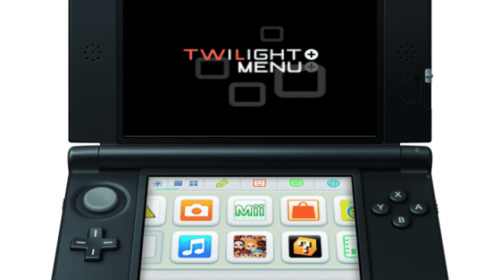 TWiLight Menu++ is an open-source DSi Menu upgrade/replacement, and frontend for nds-bootstrap for DSi, and flashcards. Apache Thunder: Providing the Miku theme (not made by him) for Acekard theme. Vulpes-Vulpeos: DSiMenu++ logo (v4.3.0-v6.2.1, and for the launcher, after v1.0.0), and MHGen theme for Acekard theme. Another World and Yellow Wood Goblin: The original akMenu/Wood UI. chyyran: Port of akMenu/Wood UI to TWLMenu++ as a theme. Robz8: Lead Developer, implementing the auto-reset power button function used in NTR-mode, and LED functions, to nds-bootstrap. shutterbug2000: For the muted sound/touchscreen fix for nds-bootstrap. spinal_cord: DSi4DS and DSision2 graphics. devkitPro: Some code used in nds-hb-menu. Custom sound can be used as well.